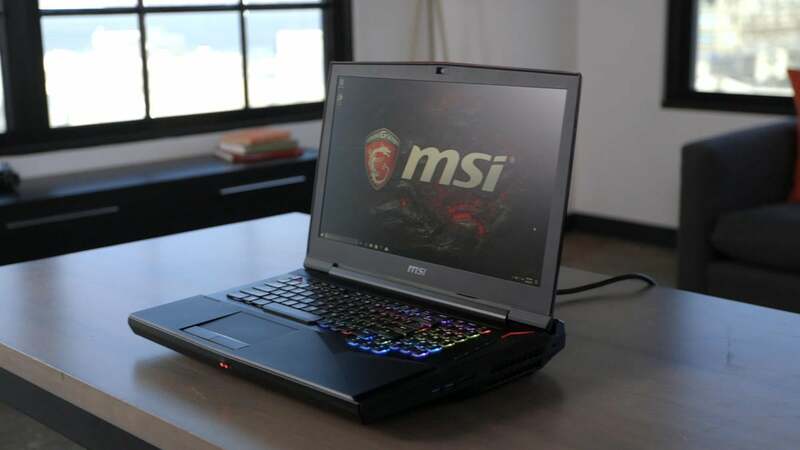 There are big laptops, and then there’s MSI’s Titan series. Weighing in at 9.7 pounds and featuring a dozen cooling pipes, an Nvidia GTX 1080, and a full mechanical keyboard, the GT75VR Titan can’t quite match the $9,000 decadence of Acer’s Predator 21 X, but it’s still one of the largest and most feature-packed laptops around. The feature I expect will make the most difference, though not necessarily the one that will be most talked about? An HDR-ready display—two, actually, because you can get the GT75VR in 1080 and 4K variants. HDR is still a rarity in desktop displays, let alone in laptops—we’ve only seen one or two announced with the capability so far. MSI actually dropped from an 18-inch Titan down to a 17-inch Titan because of the greater availability of displays at the smaller size. The upgrade in screen technology immediately puts the GT75VR in an elite group. Don’t discount the keyboard, either. MSI’s older Titans were infamous for packing a full Cherry MX Brown keyboard into the frame. While it made for a spectacular back-of-box feature, it wasn’t the most practical. To accommodate the keyboard it had to be placed at the front of the laptop, sans wrist rest, which made for an awkward typing experience. For the GT75VR, MSI turned to SteelSeries to custom-design a brand-new mechanical switch—neither a Cherry knockoff nor SteelSeries’s own proprietary “QS1” switch. 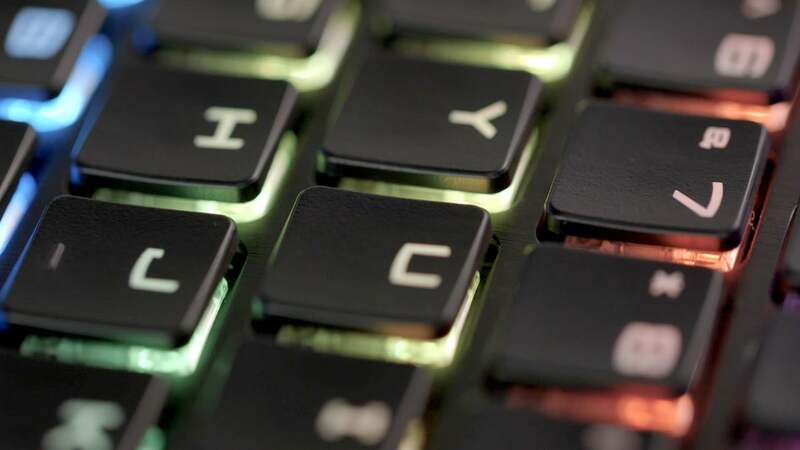 Instead SteelSeries designed a mechanical switch for laptops, similar to what Razer did with the 2016 Blade Pro. It has the footprint of a standard scissor switch, but the inner workings of a mechanical. I like MSI’s better. It’s clicky, it still has the tactile feel you’d expect from a mechanical, but it also seems to present a smoother typing experience than Razer’s (where I often found myself missing keystrokes). Is it as nice as typing on a real Cherry MX desktop keyboard? No. But it’s certainly nicer than typing on a Cherry MX keyboard awkwardly crammed into a laptop chassis, even if this solution is less impressive to the eye. A bit weird to open a discussion of the super-powered GT75VR Titan with its screen and its keyboard, but those are the most interesting features. Inside, things are more standardized: Intel Core i7-7820HK and either a GTX 1070, dual GTX 1070s, or a single GTX 1080. Unlike the 18-inch Titan there is no dual GTX 1080 model here, with the reason likely being power. MSI has the GT75VR Titan beating out competing laptops with the same specs, attributing it in part to the GT75VR’s superior cooling. A dozen or so heat pipes (depending on model), two huge fans—there’s even a button to temporarily turn all the fans to 100 percent, rapidly cooling the system while also turning the laptop into a miniature jet engine. All that cooling comes with a price, as again: The GT75VR is enormous. Over nine pounds! The weight’s better-balanced than some of the other “semi-portable” or “desktop replacement” laptops I’ve used, but the Titan lives up to its name. Don’t expect to carry it around very often. If you’re my colleague Gordon Mah Ung, that’s a price you’re willing to pay for maximum power. The rest of you? Well, you might be better served by one of MSI’s ultra-thin Max-Q laptops. Whether heat is really the reason behind the GT75VR’s excellent performance, or indeed, whether the GT75VR’s performance is all MSI claims it to be, are questions that will have to wait for a proper review, which we hope to have in the coming months.